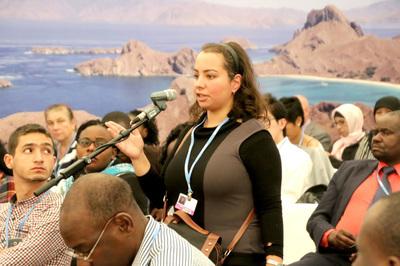 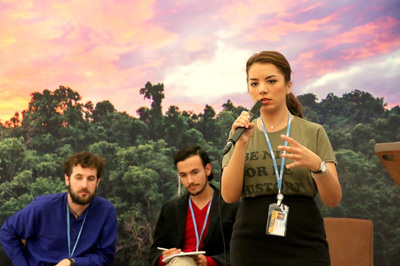 In UN Climate Change Conferences or COP UNFCCC, in addition to climate negotiations there were also other and outside events, and pavilions such as organized by the United States, the European Union, China, Japan, Africa, the Gulf Cooperation Council and Indonesia. 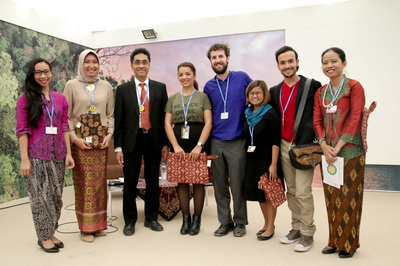 As a form of an international outreach campaign, the Indonesia Pavilion at COP UNFCCC is organized with a wide variety of programs including sessions of panel discussions, networking events, and cultural performances to showcase Indonesia’s support for the global long-term goal voiced by Indonesian negotiators through real actions. Since 2011 Indonesian climate leaders have been active in participating at the Indonesia Pavilion which starting in 2015 is Organized and supervised by the Ministry of Environment and Forestry.